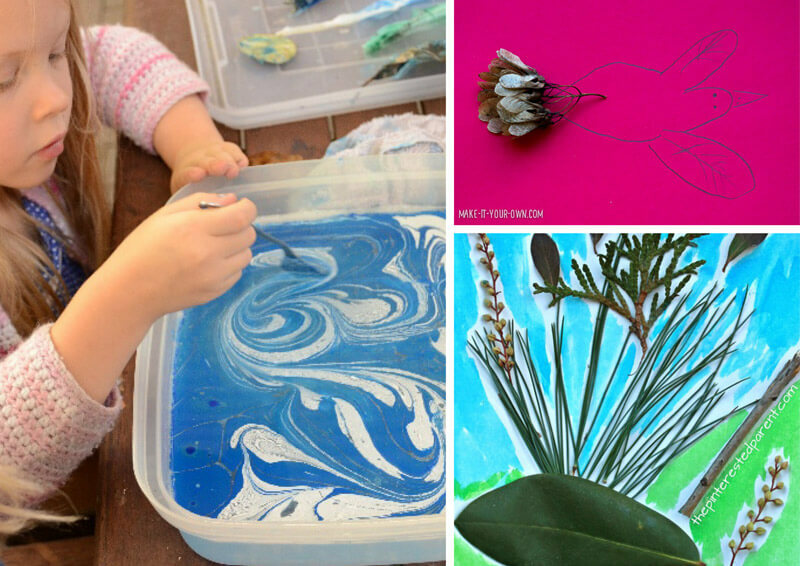 Today I’m sharing an inspiring collection of process art activities for kids of all ages involving nature. I love getting my kids outdoors to experience and appreciate nature. It sends them the message that our world and the environment is important, and it also gives them a break from the sensory overload that comes with our consumer-driven, indoor, digital lifestyle. 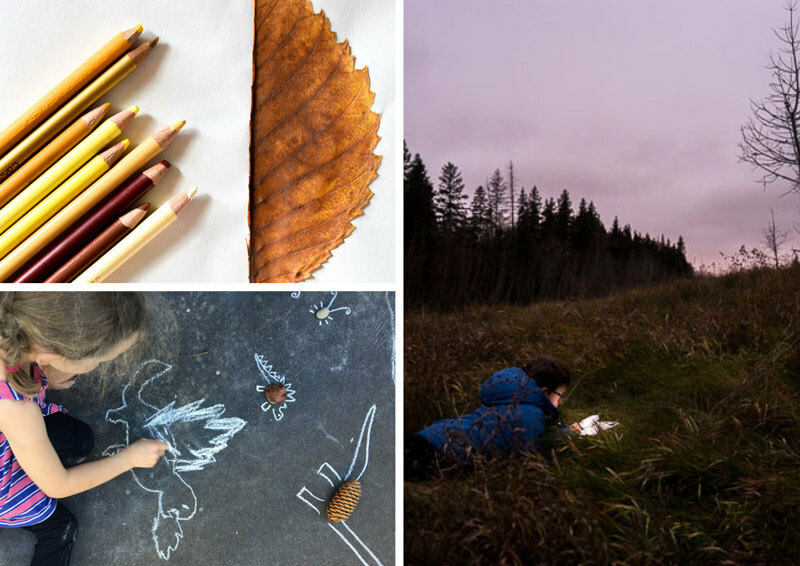 You don’t need to do ‘activities’ to get outside and experience nature, kids will naturally play and create their own games, memories and experiences. They can and should be given plenty of free time outdoors. 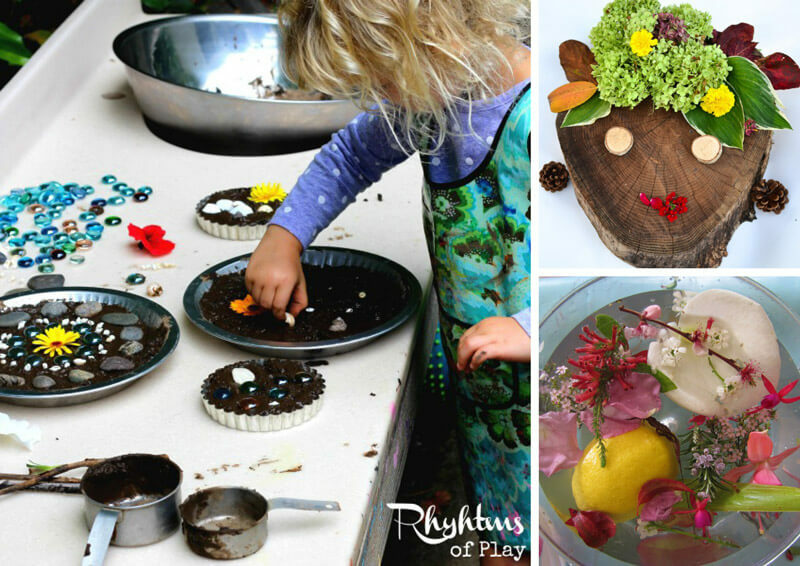 Still, it can add to the fun to create something together with your child, or set up an area where they can create on their own like the mud kitchen I’ve featured in this round up. 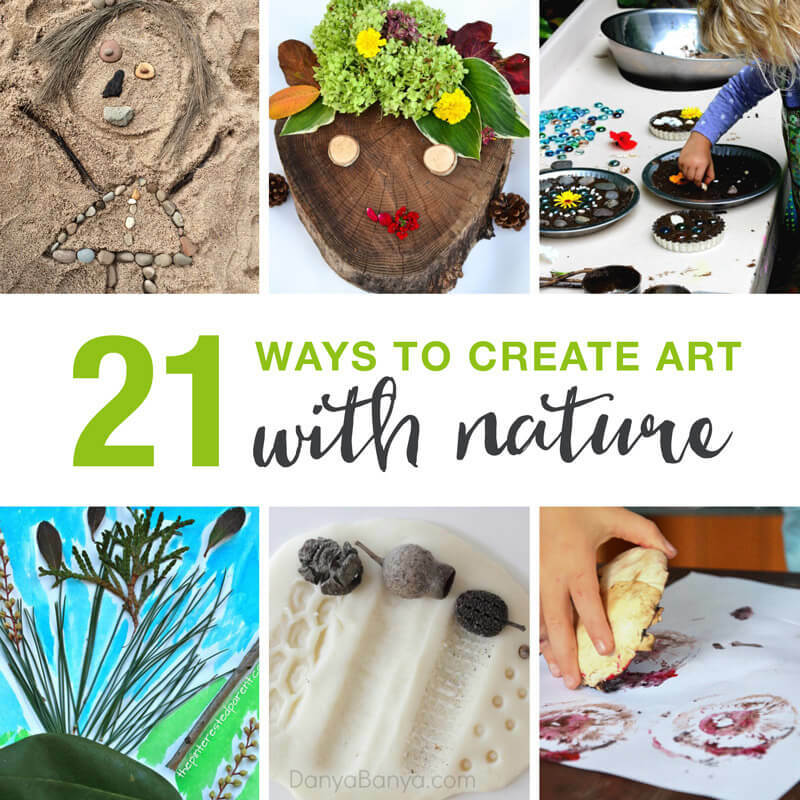 Both art and nature help kids (and adults) to relax and unwind, so by combining them it must be even more so. At least that’s my theory! • I’ve always wanted to try marbling art. 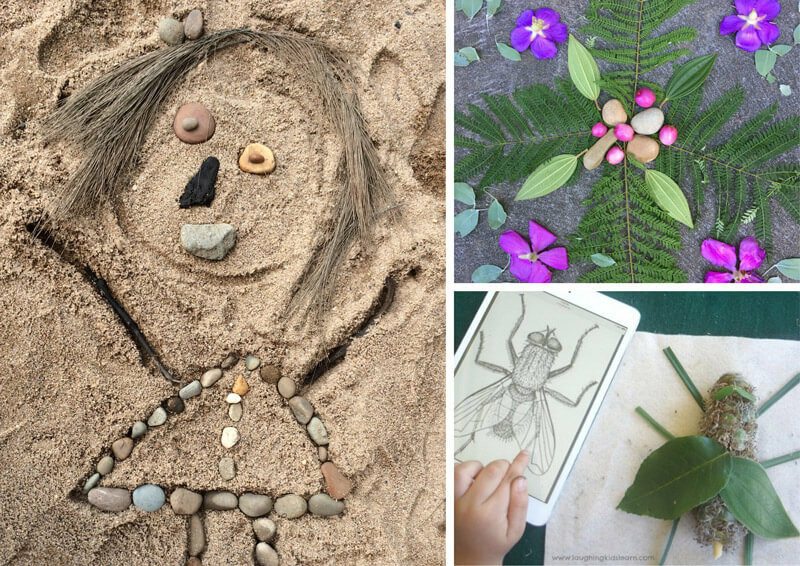 Penny from Mother Natured has tried it using nature and the results are stunning! 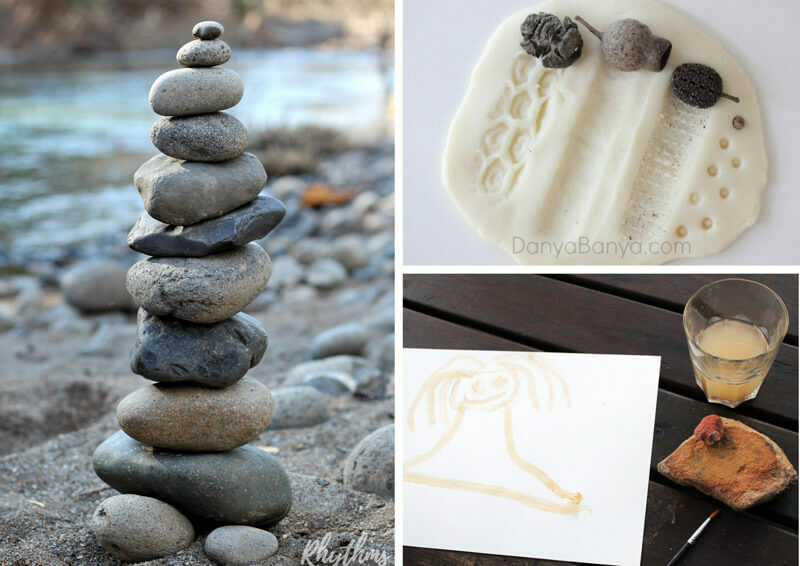 • Use rocks to make ochre paint , my girls adore this simple activity! 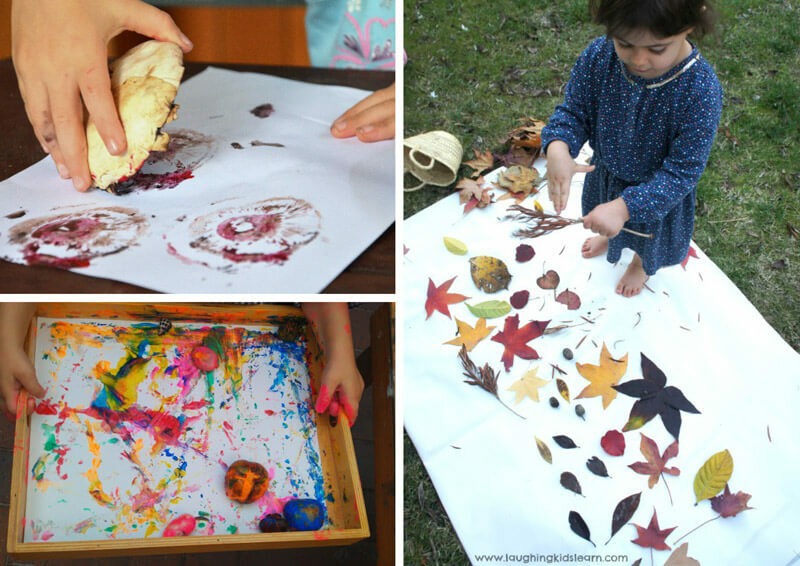 Are you feeling inspired to go outside and use nature in art? I hope so. It’s always a fabulous and free art material. 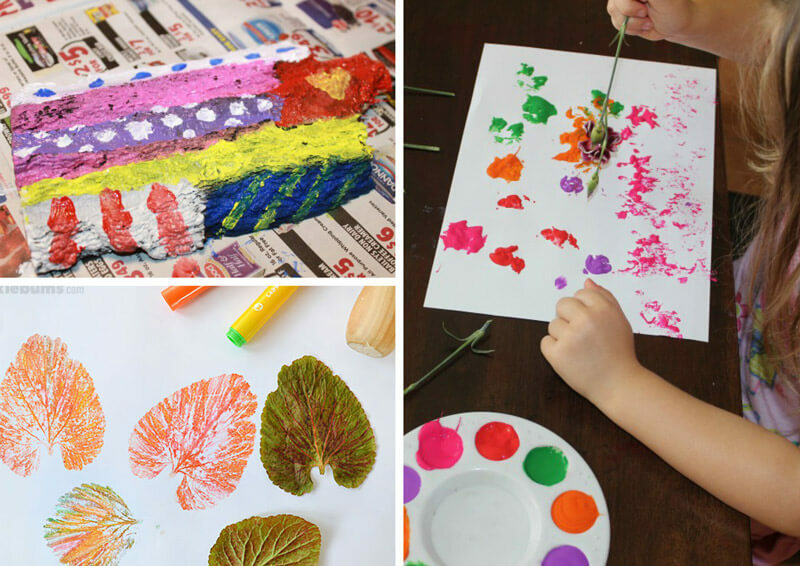 Or visit our Nature Crafts board on Pinterest for tons (and tons!) more inspiration.